Lots of projects use a Light Dependent Resistor (LDR) to sense light levels but don’t really focus on how they work. 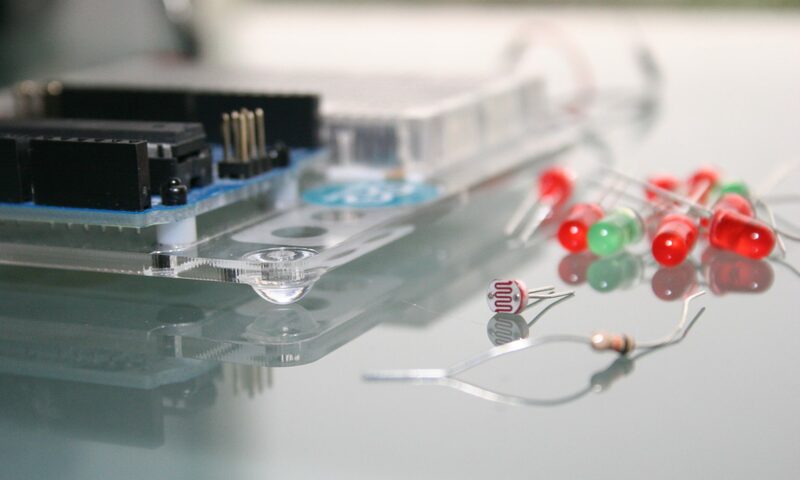 This project shows you how to use a Light Dependent Resistor (LDR) to sense light levels, measure those levels with the Arduino and print the measurements to the Serial port. Arduino measures Voltages on pins A0 to A5; but the LDR is a variable resistor (varying with Light). So we need to convert the varying resistance to a voltage that the Arduino can measure. We do that by using the LDR and a Resistor in a Potential Divider circuit. The top of the Potential Divider is 5V; the bottom is at 0V and the middle (connected to A0) is some value between 5V and 0V that varies as the LDR resistance varies according to the light level. As both resistors are in series the same current must flow through them both. The LDR resistance drops with light, which causes the current in both resistors to increase (I=V/R), and therefore the voltage across the other (non-LDR) increases. So as the LDR resistance varies with Light, the Voltage at A0 will too. The LDR has a high value when no light is present. The value of resistance of the LDR depends on the type. In this case it’s about 10k. As the light level increases the resistance drops, which makes the current increase (by Ohm’s Law), which in turn, makes the voltage at A0 (Va0) increase. You can use the AnalogInOutSerial code (File -> Examples -> Analog -> AnalogInOutSerial) to measure a value on A0 and print it to the Serial Monitor. The AnalogInOutSerial code also uses the measured sensor value to change the brightness of an LED on pin 9. Add the LED. Make an Arduino Light Sensitive Bar Graph.